Christopher York’s one-woman adaptation of The Pit and the Pendulum for Oxford-based Creation Theatre isn’t a straightforward page-to-stage reworking of Edgar Allan Poe’s short horror story. It’s a bit more ambitious than that. A bit cheekier. 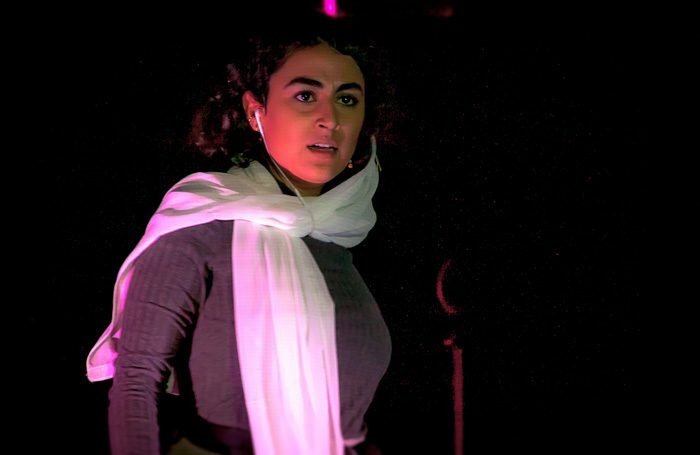 Firstly, York relocates the action to a modern-day prison cell in Iran, and recasts the main character as an irrepressible feminist imprisoned for her equal rights activism. Then he layers in snatches of Poe’s original story over the top. It’s actually inspired by real events, by a real woman, who publicly took of her hijab in central Tehran earlier this year and was promptly arrested and incarcerated. All of it – Afsaneh Dehrouyeh’s nameless protagonist, Nicholas Osmond’s breathy narrator, the snatches of news footage in Eva Auster’s slick video design – is piped into the audience’s ears via headphones. Does it come off? Kind of. York splices present-day politics and eighteenth-century horror together deftly, and there’s genuine joy in Dehrouyeh’s prisoner refusing to conform to the restraints of the story. She mocks everything, from her captor’s lack of originality, to the phallic metaphors lurking in Poe’s prose. A great, swinging, bladed pendulum? Come on. 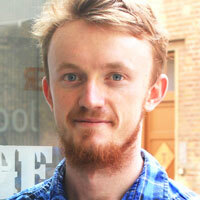 But what York has gained in contemporary resonance and literary deconstruction, he’s lost in intensity. There’s precious little of the sweltering, nameless terror of the original story left, and the use of headphones, although hitch-less, doesn’t really add much in the way of intimacy. As a whole it makes for an interesting collision of fact and fiction, but not an overwhelmingly involving one.